Setantacollege.com – The main website for Setanta College, students can view course infor and quickly and easily pay part of all of their course fees with the secure payment option. Online library – This secure system is only available to registered student. All 10,000 documents are searchable and this has proven to be a valuable resource for students. Short courses – password protected short courses for those who don’t wish to undertake a full degree or cert but wish to learn. 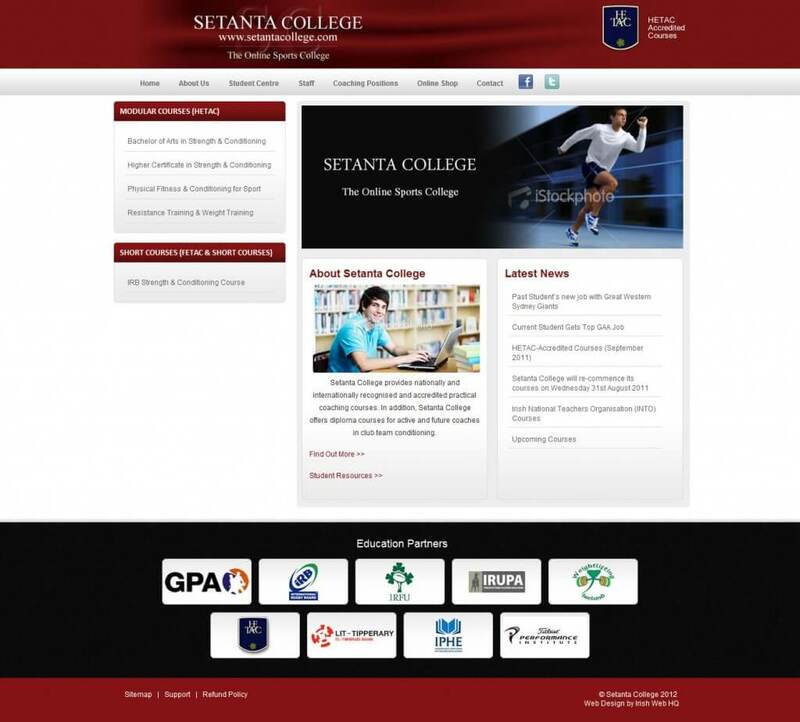 Full content management – content updates are easily achieved by Setanta College staff using the simple admin system. Moodle elearning system – we created a fully self-contained online learning system for Setanta College. registered students can view their full course notes and interact with their lecturers, submit assignments and receive feedback. We enjoy working with Setanta College and hope to do so for years to come.